I posted on Saturday about how I had got a cold and hadn’t been able to run for a few days. Well I’m pleased to say that the cold seems to be on its way out and I managed a gentle 30 min run on Sunday. 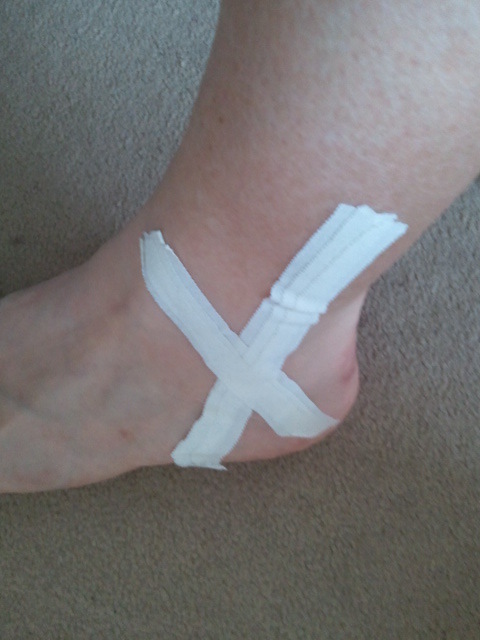 Those of you who read my post about the BUPA 10K will know that I twisted my ankle during the race. I did all the right things afterwards, iced, elevated, rested for a few days until it felt better and I thought I was on the road to recovery. But in the last few days I’ve been more and more aware that things weren’t feeling totally right. During a yoga class last week I moved in a particular way which made my ankle hurt and I’d started to notice that it was twinging now and again. So I made an appointment to see Glenn at Blue Eye Osteopathy this morning to get it checked over. His diagnosis? 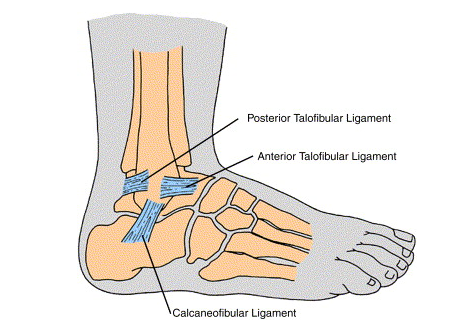 I’ve strained two of three of the lateral ligaments in my left ankle. I think he said the posterior and the calcaneofibular ones. The treatment? Well I left the session with my ankle taped up while I went off to buy an ankle support to wear while I’m walking around. And I’ve got to do the usual icing routine that you’d expect with a strain. But I’ve also been told to rest it. Totally. For a week. No running, no yoga, just walking to and from work with it strapped up and then keeping off it as much as possible for the rest of the time. This is going to be very frustrating, but we go away to New York on Saturday and we’ll do a lot of walking there so I need it to get better. Glenn thinks that as long as I rest this week I might be OK to fit in a gentle run while we’re away as well. I really hope so – I’d already started thinking about my route! So what can I do while I’ve got to keep off my feet? Some core work for sure but what else? Poor thing! Given how “hard the streets” of NYC are you might not need to go for a run to feel like you have had a workout! Indeed! I really hope it’s better by then though – I have been thinking about running in New York ever since we booked the trip!